The symbol decorates our illuminated manuscripts such as The Book of Kells and is found on Celtic crosses and Celtic stones all around the country. It is most notably found inside the Newgrange passage tomb, on the entrance stone, and on some of the curb stones surrounding the mound. 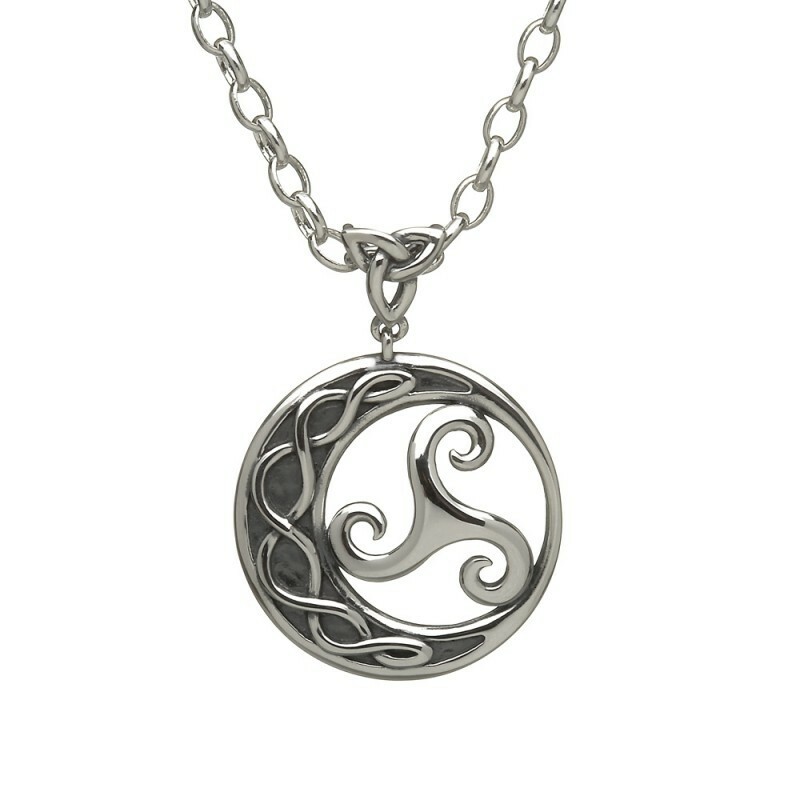 One of the hardest Celtic symbols to decipher as it was so frequently used; it is thought to represent motion, movement, energy, change and progression. It is also thought to portray; life-death-rebirth, spirit-mind-body, mother-father-child, past-present-future and the three Celtic worlds; the spiritual world, the present world.